Aimed at motorists, the Neste mobile application enables now mobile payment for fuel without cash or a card. The application makes refuelling faster, safer, and easier for customers. "We want to be where our customers are, in the mobile space. Neste's heavy vehicle stations were the first in Finland to offer cardless refuelling with the Neste Truck+ service back in 2012. We are very excited to be now able to offer mobile payment for consumers as well," says Mika Hyötyläinen, Vice President of Marketing for Marketing & Services at Neste. "The Neste app makes refuelling faster and safer, as no separate cards or cash are needed for payment. All you need to do is to pull over to a station and unlock the pump you want with the app," Hyötyläinen continues. The payment function is activated with bank identifiers and the refuellings will be invoiced on a monthly basis with Neste Private card invoice. Mobile payment is secured with a PIN code, and the service is easy to deactivate if you lose your device. Mobile payments will be recorded in the Neste application payment log. In addition to the payment option, the application helps customers to locate and navigate to the nearest Neste stations. The Neste application also offers benefits which can be used at Neste stations all across Finland. Currently, mobile payment is accepted at over 120 Neste Express, Neste K and self-service Neste stations, and the number of stations is growing rapidly. Stations are easy to find through the station search available in the Neste app. 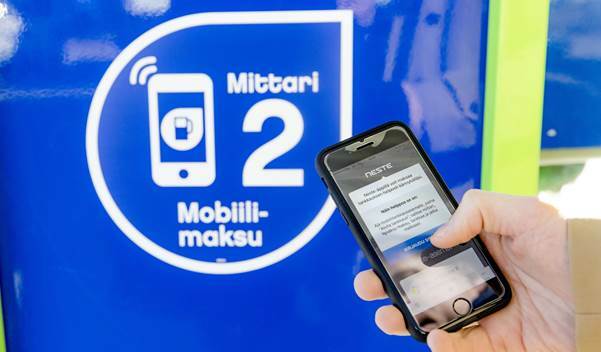 Neste's mobile app is the first application in Finland that also allows refuelling using Visa and Mastercard credit and debit cards irrespective of the user's bank.